At the Smurfit Kappa facility in March, Cambridgeshire, there are three reel transport systems to carry heavy drums of paper into the corrugator machine that produces cardboard. When one of the systems travels empty, everything is fine; however, when it travels carrying a heavy drum of paper the momentum from the load may cause the reel system to carry on past the stopping point and hit an emergency end stop, potentially causing damage. The engineers at Smurfit Kappa March tried different methods to stop the reel transfer safely by using clutches and brakes; none of these worked or lasted for long. So, they asked us at IDS to have a look at the problem and see if we could find a better solution. We fitted an inverter with a brake chopper to a transfer system. The chopper providing the ability to get rid of the braking energy by turning this kinetic energy into heat energy (which is easier to dissipate). And it worked perfectly. The project wasn’t without challenges. We had to commission the inverter on a Saturday, so as not to interfere with production. Technical challenges included a clutch that was being used for a smooth start and stop. But when we tried to ramp down, the clutch would release preventing the inverter from stopping. By removing the clutch the inverter system worked perfectly. Thanks to the inverter control, when the system is required to stop it now ramps down in the same distance, regardless of whether it is empty or carrying 3 tonnes of paper! 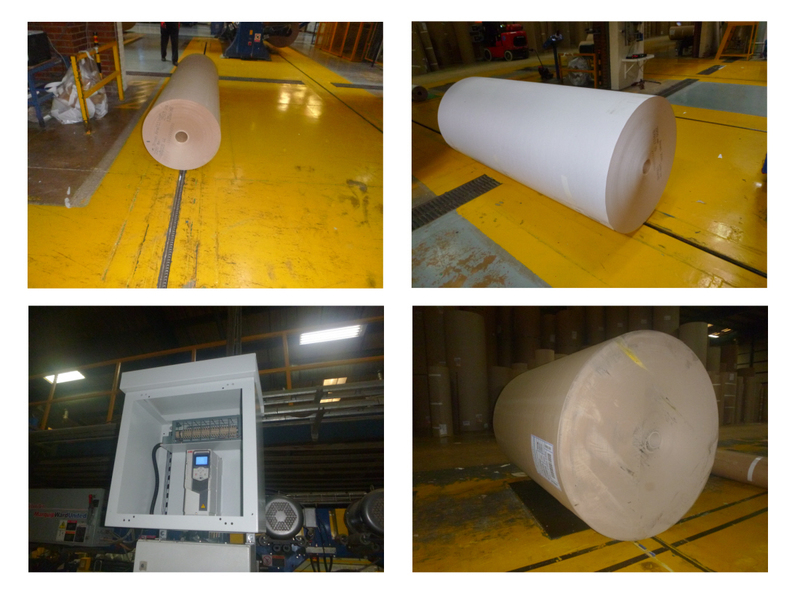 This bespoke inverter solution has improved the process at the Smurfit Kappa March plant and is saving a lot of welding repairs previously needed every few months. Whilst still enjoying other benefits of inverter control; like being easier on the mechanical components during acceleration/deceleration. Smurfit Kappa were so impressed they now want this system applied to the other transfer operations at this site. We believe every other corrugator site in the UK would benefit from this innovative use of inverter technology.